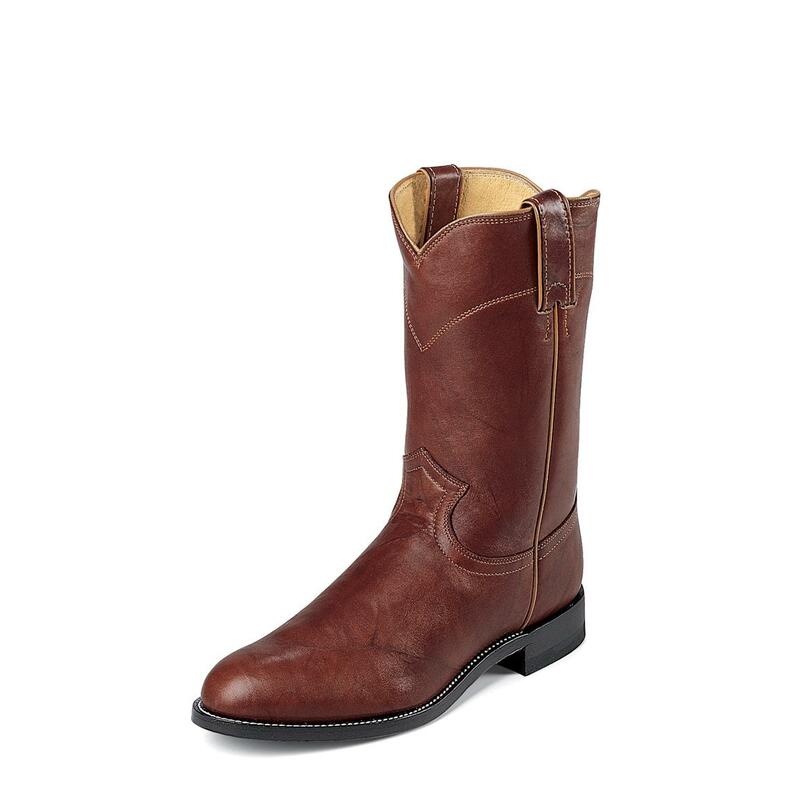 Men's 10" Justin® Marbled Deerlite Ropers - Cowboy Boots Eliminate the "bad and the ugly" and step into some cowboy boots that just give you "the good!" Nevermind "good," these Western boots are great! Back when founder HJ Justin founded the company over 100 years ago, he made the statement that's still the Justin® creed of quality today: "No boot shall ever bear the Justin brand unless it is the very best that can be produced from the standpoint of material, style and workmanship." High quality leather outsoles for a firm grip on the ground under you. 10" overall. 33 ozs. each. Bay apache. Mens 10 Justin Marbled Deerlite Classic Ropers is rated 4.0 out of 5 by 1. Rated 4 out of 5 by Anonymous from Nice boots I had to send the first pair back too big. Then I ordered the 8.5. Fits ok but they were very difficult to get on. Once on, they wear good. Hopefully they will be easier to put on as time goes on. It takes at least 75lbs of force to get them on. They look good and Im going to keep them. They are not built like Justin Boots of old time. I tried on Justin Boots and other different manufactures at different locations. All had different things that was not on par for a boot maker. Most were made in china. These are made in Mexico.